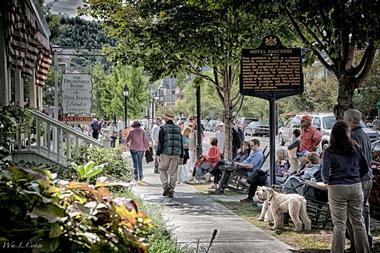 Milford, Pennsylvania is a historic town in the beautiful Poconos Mountains. Visitors have access to an array of outdoor adventures that are fun for the entire family. Top Milford attractions include Grey Towers National Historic Site, Raymondskill Falls, the Upper Mill, Milford Beach, and Columns Museum. 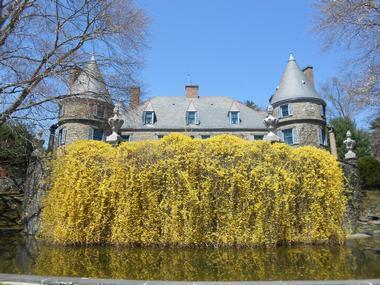 Built in 1886 by James Pinchot, Grey Towers is also referred to as Gifford Pinchot House or The Pinchot Institute. James recognized the increasing destruction of natural resources and urged his eldest son, Gifford Pinchot, to consider a career in forestry. 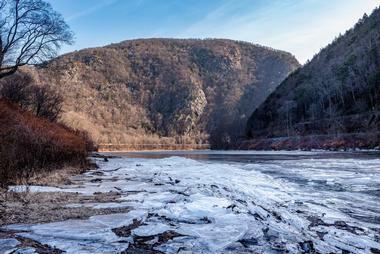 The tallest waterfall in the state of Pennsylvania, Raymondskill Falls is a part of the Delaware Water Gap National Recreation Area. The waterfall has three tiers, and combined, it is over 150 feet tall. Visitors are invited to view the majestic waterfall, which is 4 feet shy of Niagara, from either of the two viewing platforms: one near the head of the falls and the other near the bottom tier. Visitors can also hike to the waterfall and explore the surrounding areas. There are three other waterfalls nearby: Dingmans Falls, Shohola Falls, and Bushkill Falls. Built by James Burton between 1804 and 1837, the Upper Mill is a fully restored, operating, water-powered gristmill listed on the National Register of Historic Places. Open to visitors for free self-guided tours, the mill allows them to go back in time and catch a glimpse of life in rural America over 150 years ago. Historically, the Upper Mill served as a hub for local tradesmen and consisted of the gristmill, a black smith, and wood and metal shops. It is now home to boutiques, a café, bakery, and a bar. Visitors can come prepared to swim their stress away in the Delaware River at Milford Beach; picnic areas, a pavilion, a boat launch, a canoe launch, restrooms, and lifeguards are available to ensure a fun trip for the entire family. It's a perfect place to discover Milford's natural surroundings and to explore the McDade Recreational Trail, which has panoramic views of the river, bubbling streams, forests, farm fields, and historic landscapes visitors can admire from the many observation decks. The recreation site has been popular with hikers, bikers, and other adventurers since 1945. 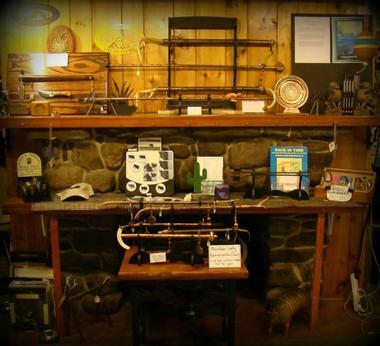 Since 1930, the Pike County Historical Society (PSHS) and Columns Museum has been accumulating artifacts and archives involving the people, places, and events of Pike County's remarkable history. 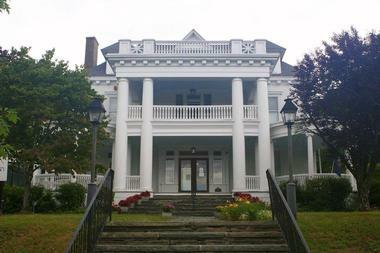 "The Columns," a manse built in 1904 by businessman Dennis McLaughlin, was added to the collection in the 1980s. Visitors are invited to peek into the history of Pike County; exhibits include the Lincoln Flag, World War II posters, a collection of books and art, and vintage clothing - many from famed Pike County residents. Visitors can plan their visit around the PCHSs events calendar, which hosts civil war encampment sets and meet and greets with many individuals. Though Milford is known for entertainment and adventure, it is also a wonderful place for relaxation. 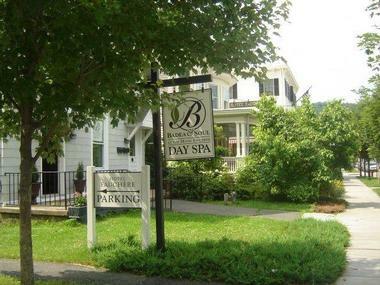 Badea & Soul is a day spa for Milford's visitors to unwind and pamper themselves. The spa has a lot on offer from Shiatsu and Thai massages to deep cleansing or acne treatment facials. There are a variety of body scrubs and body wrap options available, including the Mediterranean Salt Glow, Honey & Sugar, or a Slimming Body Wrap. The spa is also famed for medicinal massages; lymphatic drainage, labor-inducing reflexology, cupping therapy, and ear candling are some of the options they offer. Many of the treatments can be scheduled for couples or groups, ensuring that guests have the most personalized experience possible. A favorite for locals and visitors alike, Waterwheel Café is a bakery and bar in the heart of Milford. Since 1989 the café has been the go-to spot for many who have been drawn to the casual atmosphere and flavorful menu on offer. The menu displays an eclectic mix of the chef's talents, and choices include lamb chops, skirt steak, and filet mignon, as well delicious main courses with a Vietnamese flair such as an oven-roasted salmon, or jumbo shrimp and scallops in a lemongrass curry sauce. 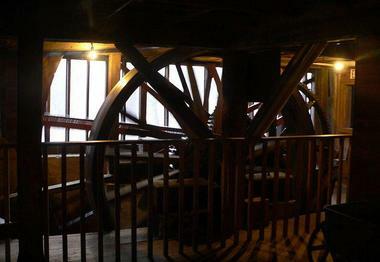 Guests can enjoy good food and cold drinks amidst the great live music at the Waterwheel Café. A celebration of art and independent cinema, the Black Bear Film Festival is an annual festival dedicated to promoting independent films and filmmakers and to honor the role Milford played in early American filmmaking colonies. The event is held every October, and visitors can enjoy the opening night gala and movie, various film workshops, and an opportunity to meet budding and renowned filmmakers and other artists. There are complementing film screenings, special events, and workshops for visitors to attend throughout the year - these events are a great one-off to understanding the atmosphere of the Black Bear Film Festival. 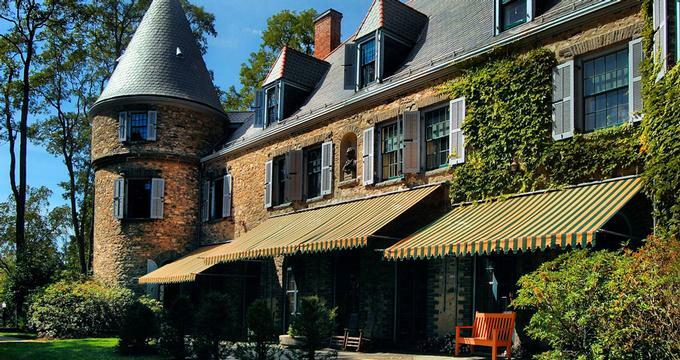 The Longendorfers, a family of artists, have owned the Golden Fish Gallery since the 1970s. The gallery features the artwork of all three members of the family. John Longendorfer creates contemporary works that lean toward medieval fantasy while his wife Lillian Longendorfer has a lot of pastel and oil work in impressionistic style on display. Their son Edwin Longendorfer is a self-taught artist with many unique works. Visitors can enjoy a number of events at the Golden Fish gallery, including a monthly art show committed to promoting local artists and craftspeople. The works of these artists include jewelry, souvenirs, mosaics, and carvings, giving visitors a sense of the variety of art Milford offers. What used to be the Milford Jazz Festival since 2002 was reestablished in 2013 as the Milford Music Festival, a non-profit organization with a calendar of cultural events to showcase new and emerging talents in Milford. The annual music festival is held every June and elevates the exposure locals and visitors have to the arts while giving back to the community as much as possible. The Milford Music Festival also hosts and participates in community events such as an annual fundraiser, sidewalk shopping sales, a light holiday tree lighting celebration in December, and many other occurrences throughout the year for visitors to enjoy. 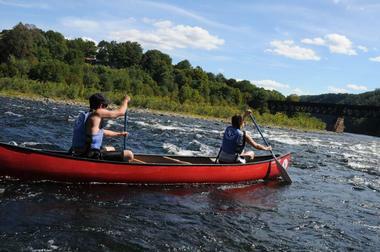 Milford is an adventurous, outdoorsy, town, and Kittatinny Canoes ensures that visitors make the most of their visit. From tubes, boats, and rafts to canoes and kayaks, there are many river trip options that allow visitors to get in the water and up close and personal with the beauty of Milford's nature. Going through breathtaking scenery in calm waters or white water rapids, visitors are sure to enjoy themselves and are urged to bring a picnic lunch, relax, swim, and spend a day on the river. Kittatinny Canoes also accommodates camping, zip lining, and paintball. At the foot of the Pocono Mountains, Action Bikes & Outdoor is a full service bike shop in the Delaware River Valley. Visitors can expect to find bike rental services, bike, kayak, canoe, and accessory sales, and a bike repair shop on site. They can also schedule group rides offering views that can't be seen anywhere else with the Cycling Club or participate in one of the many other events scheduled by Action Bikes. The team members that comprise Action Bikes & Outdoors are faithful bike and adventure lovers who have been in the industry for over 13 years, so visitors can rest assured that their Milford bike experience will be unsurpassed. Have a craving for something delicious to satisfy a sweet tooth? 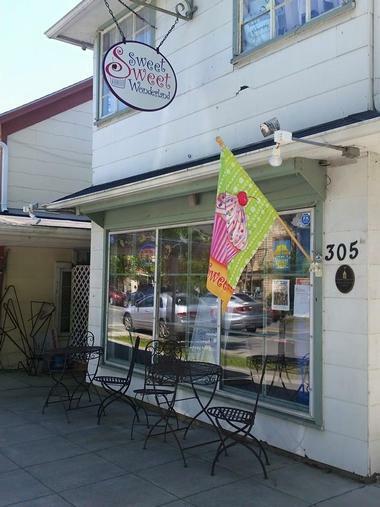 Sweet Sweet Wonderland is Milford's go to bakery for any and every concoction imaginable. Cupcakes, brownies, cookies - the confectionaries make visitors nostalgic for their childhood. The baked goodies, which also include gourmet cakes and pies, have been captivating locals and visitors since 2006. Other treats on the menu include whoopie pies, cheesecakes, glazed almonds, rice krispy treats, s'mores sticks, and many other unique yet tantalizing choices that change with the seasons. Keeping everyone in mind, there are also a number of dairy-free and gluten-free products. Sweet Sweet Wonderland offers cupcake parties led by a Sweet Sweet Wonderland staff member showing the fine art of cupcake decorating.